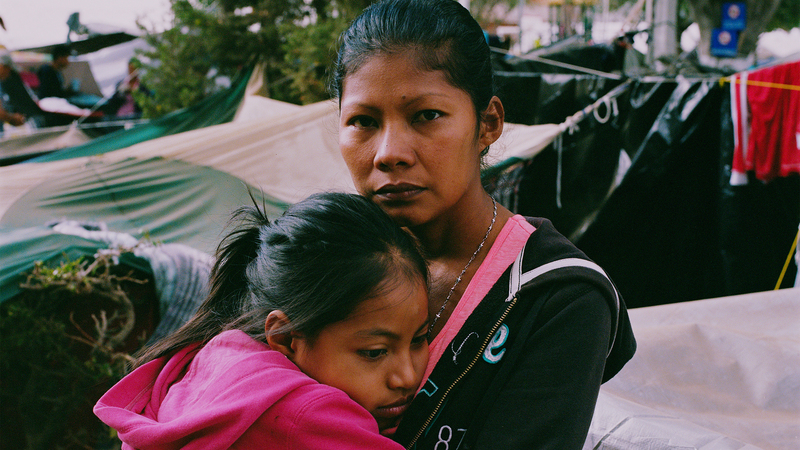 Through my portrait series I documented Paz and 12 other women with their children who are survivors of domestic abuse and decided to flee their homes by joining one of last year's migrant caravans. For them it was a challenging, almost two-month journey to answer the question: What does it take for a Central American woman to give her children a better future? There is a long wait south of the border. Most of the women and children I've interviewed are asylum-seekers who are on a waiting list with more than 5,000 people. They initially took refuge at the Benito Juárez shelter, but many left for another site known as El Barretal. They are waiting in shelters for their turn to be heard, which could be months. Some of them have started to think about crossing into the U.S. illegally instead of attempting to go through an official port of entry.